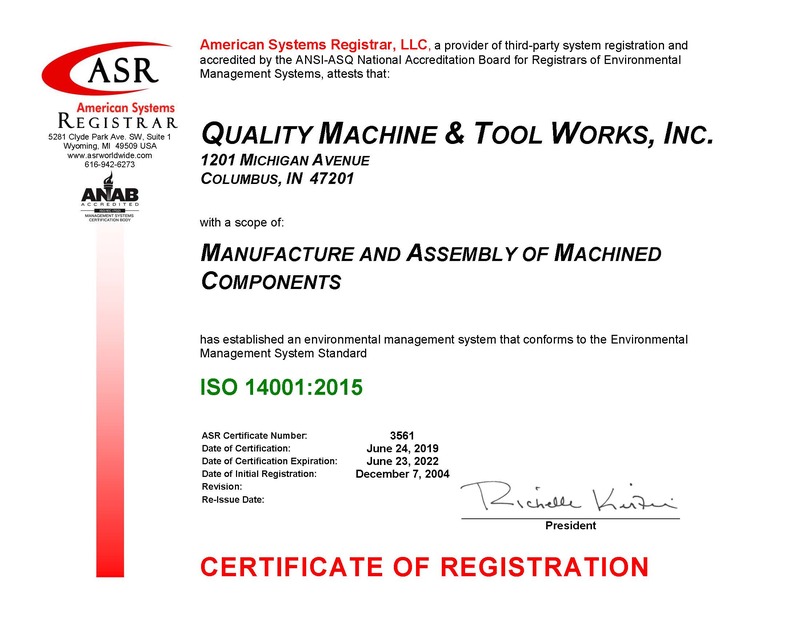 We have been ISO14001 certified since 2004. Our last Registrar audit of the Environmental Management System resulted in zero non-conformities. The success of the system is commitment from all levels and functions of the organization and especially from top management. We have been members of the Environmental Stewardship Program (ESP) since 2007 and have completed projects from reducing natural resource usage with measurable returns on investment to the community. 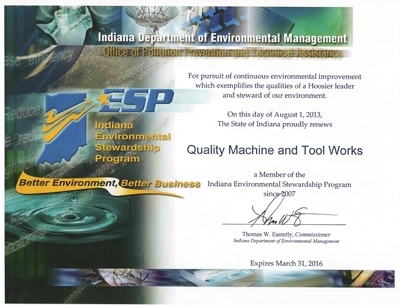 We were the 9th company in the state of Indiana to become ESP members. 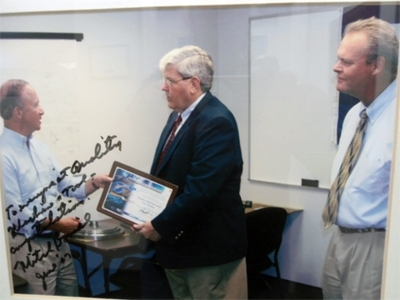 Indiana Governor Mitch Daniels visited the plant and awarded the plaque commemorating our dedication to conducting our business in a manner that will preserve and protect the environment.